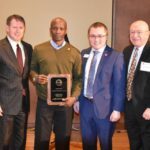 Up to three $5,000 awards are given to individuals, teams, or units from UW System institutions in recognition of institutional change agents that foster access and success for historically underrepresented populations. 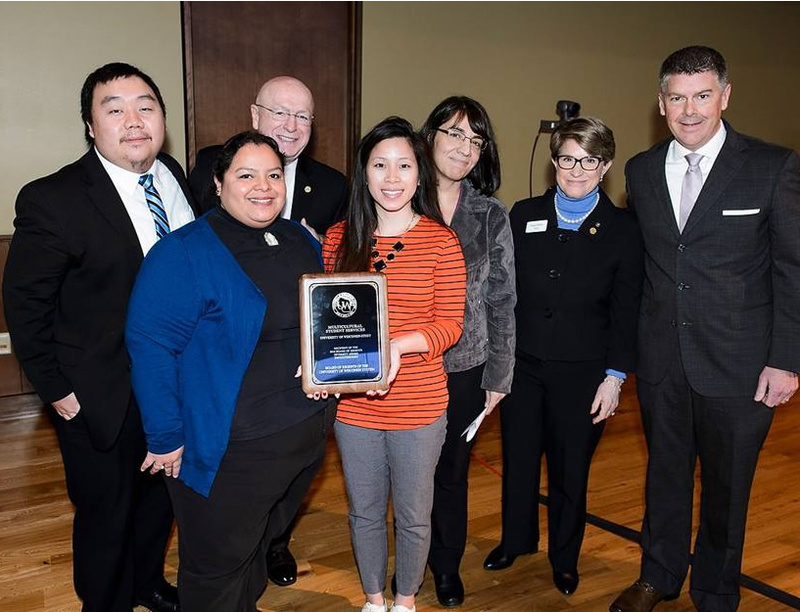 The Regents Diversity Awards are administered by the systemwide Office for Academic and Student Affairs. 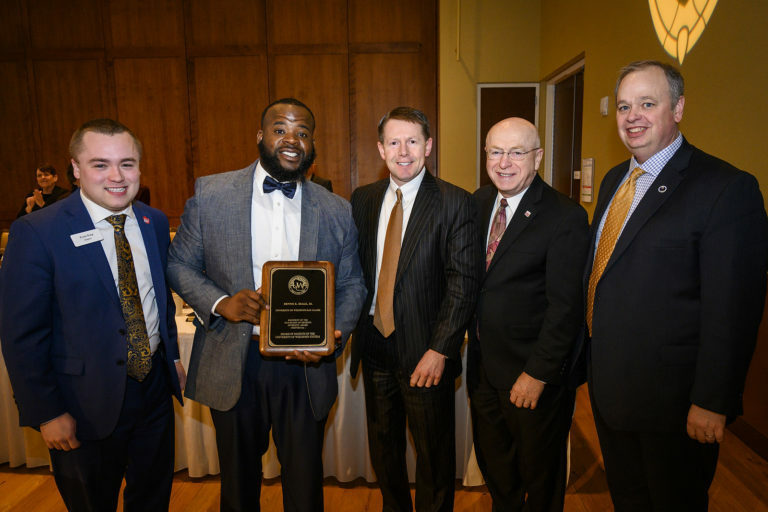 Dennis K. Beale Jr. is recognized with the Board of Regents' 2019 Diversity Award in the individual category. 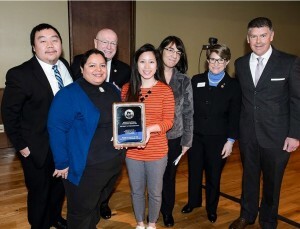 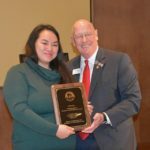 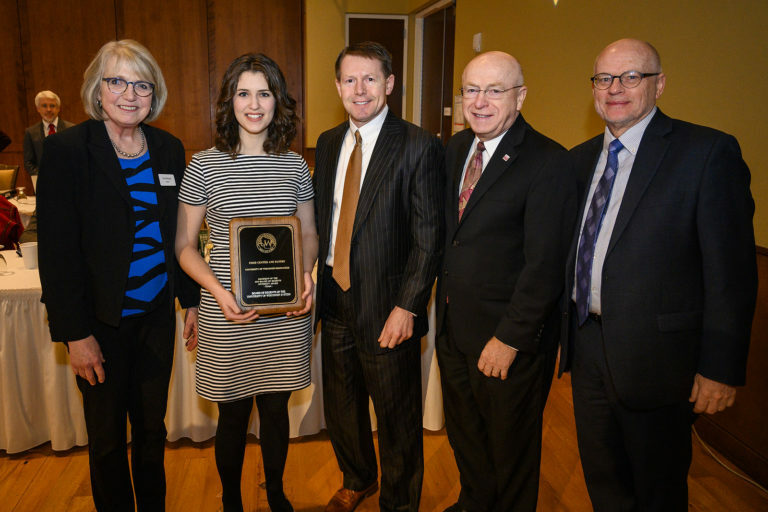 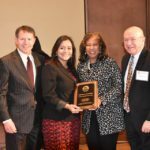 UW-Milwaukee's Food Center and Pantry, a team recipient of the Board of Regents' 2019 Diversity Awards, is represented by Quincy Kissack, assistant director of Student Associate Professional Staff, who accepted the award on the team's behalf. 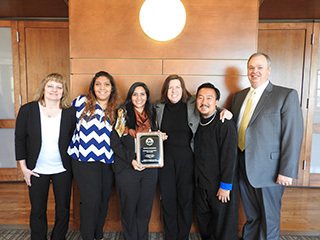 Members of UW-Oshkosh's Titan Advantage Program accept a Board of Regents' 2019 Diversity Award in the team category. 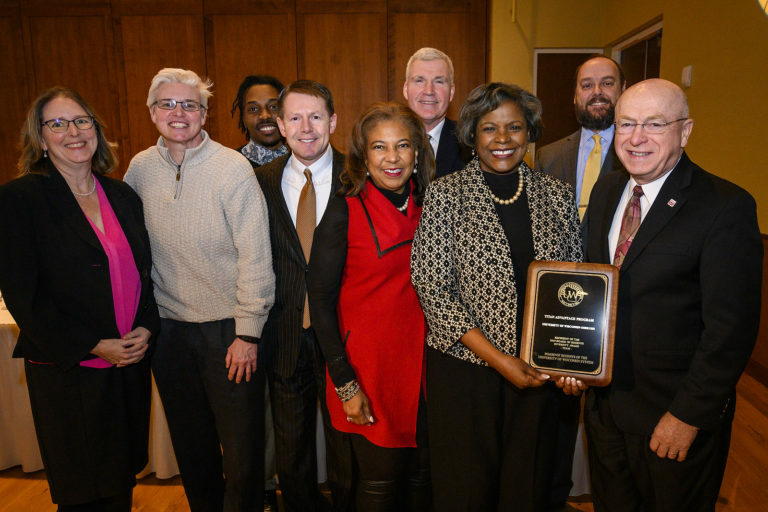 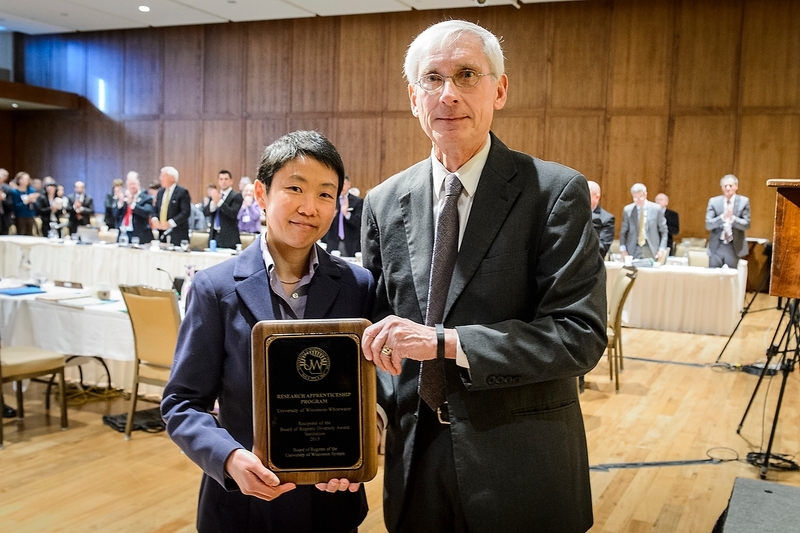 Dr. Sylvia Carey-Butler (holding plaque), associate vice chancellor of academic support of inclusive excellence at UW-Oshkosh, made acceptance remarks. See a news summary of the event. See a summary of the awards event and more photos.